The industrial revolution that took place in the Georgian Era resulted in huge urbanization and colonization to the cities from the countryside. This gave an opportunity for all small merchants and middle-class people to expand the market which included all small luxuries and hiring professional cooks and buying more sophisticated ingredients. It was also taken care that all spices and food ingredients reach the English from all over the world in which sugar was the prime component. It also became readily available due to the development of sugar plantation that was now done by many slave labors. After the French Revolution, many professional chefs left France and moved to England to make their unique Cuisine for English. What was Consumed as Food in Georgian Era? What were Sweets consumed in Georgian Era? Breakfast in the Georgian Era started late at around 10 am, because many pre-preparations like lighting the fire, carrying the water, etc had to be done. They consumed spiced cakes and bread with the flavor of fruits, coffee, chocolate, tea, cold and hot rolls, bread, butter, and toast. Muffins and Kippers were also widely used for breakfast. They also used jams and marmalade made from various fruits as a topping over bread. As breakfast was taken very late and after that men were usually out for work, lunch was not very regular. 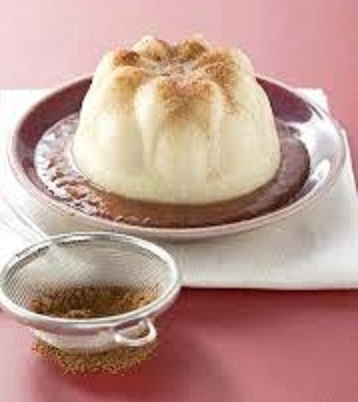 However, stews, soups, and meat very still prepared for lunch along with some pudding. Dinner was taken at around 6 pm and it consisted of many courses. However, the main course would include varieties of meats, mutton, beef, fish. After the dessert, they would consume wine. For supper, they would consume cold meats and portions of cheddar cheese, biscuits, cakes, sandwiches along with sweet and savory pudding. The Georgian people were involved in all kinds of sweets and showed a great liking butter and creams. Various types of custards were famous as sweets at that time. The cheesecake was highly consumed as both sweet and dessert. Cheesecakes, Tarts, Custards, Syllabubs, Marzipan Sweets, Pigeon Pie, Flummery are some of the very known dishes of the Georgian Era that were liked by one and all. Cheesecake is made by adding rennet to a quart of milk and setting it near the fire. Then the prepared curd is drained and then broken and rubbed gently with hands. Then a quarter pound of butter and the same amount of sugar is added. For flavor nutmeg, Naples biscuit, the yolk of four eggs, the white of one egg, almond, rose water, sack, currants are added in that curd. Mixing them together and then baking them prepared delicious cheesecake. 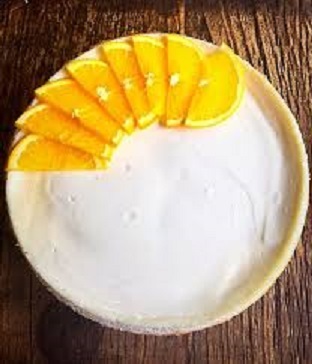 A variant of cheesecake called citron cheesecake is prepared by adding finely shredded green citron to the mixture and adding required sugar to it. Then it is baked in teacups. A sweet frothy drink that was too famous in this era is syllabubs. It is prepared by adding a quart of rich cream into a pint of white wine with lemons and sugar of required taste. This mixture is whipped very well and the froth is taken off after it rises. A hair sieve is put upon it and it is rested in a cool place for a day. 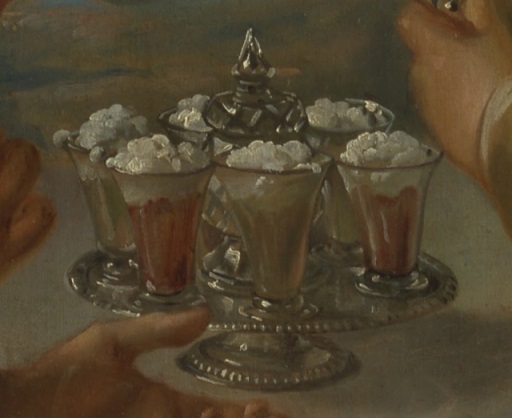 Then while serving half glass is filled with thin and the remaining with the froth and it is heaped to its maximum level. the bottom appears very clear and this is kept for several days. 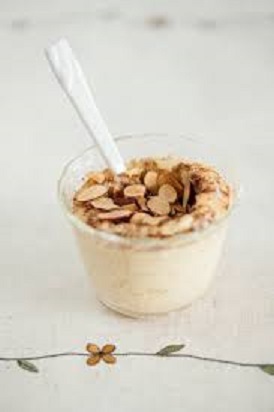 Common Custard is made by setting quart of good cream on slow fire and adding a small amount of cinnamon and sugar to it. The mixture is boiled and then removed from the fire. After that yolk of eggs and a spoon of orange flower water is added so that cream does not get any cracks. When the cream gets cool it is stirred and then again put over slow flame. It is then stirred carefully in one direction until it gets boiled. Then it is served by putting them in the cups. Marzipan is made from ground almonds, sugar and in most cases rose water. These were a very common choice of sweet as sugar was imported from the Americas, as they were a relatively easy recipe and not unaffordable to the townspeople. 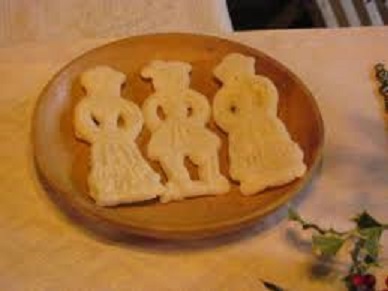 Marzipan sweets were often served at the end of a meal, or as a sweet treat. These sweets would have also represented a certain amount of creativity and imagination, as the marzipan was regularly sculpted into animals, people, castles or any other achievable shape. After their creation, these marzipan sweets were put on display as a centerpiece to a dinner party, or on a dessert table. It is basically a white jelly that is set in molds or in various shapes of clear jelly. It is very delicate and creamy. The taste of flummery goes very well with strawberries, rhubarb, and raspberries.